The BBC is about to be home to a lot fewer "soggy bottom" jokes -- "The Great British Bake Off" is leaving for another network. The show, which is currently in its seventh season, will be moving to the U.K.'s Channel 4, according to a release from the series' new broadcaster. "Channel 4 will become the new home of 'The Great British Bake Off' after signing a new three-year agreement with the producers of the hit show, Love Productions," the network said in a statement. The next season of the amateur baking competition will be a celebrity edition, set to benefit Stand Up to Cancer, Channel 4 said. It will air in 2017. "The Great British Bake Off" is an unlikely phenomenon, one of the biggest shows in its motherland. 10.4 million people watched the premiere of its latest season last month, according to figures from the BBC, besting Olympics coverage. According to the BBC, the move is a result of failed negotiations over fees. "We made a very strong offer to keep the show but we are a considerable distance apart on the money," BBC said in a statement posted on Twitter. "The BBC's resources are not infinite." It is hosted by Mel Giedroyc and Sue Perkins, with Paul Hollywood and Mary Berry acting as judges. None of the key talent have publicly responded to the move, but Perkins retweeted the statement released by the BBC, in which they ask Love Production to "change their mind so that Bake Off can stay ad free on BBC One." According to a report from Business Insider ahead of the official switch, Hollywood, Berry and others were worried that a move to a more commercial broadcaster would alter the show's DNA. In the U.S., ABC tried to spin off the show's success in 2015 with "The Great Holiday Baking Show," a four-week, Christmas-themed competition that imitated the format and aesthetic. It failed to stir up the cultish devotion its British cousin has inspired. 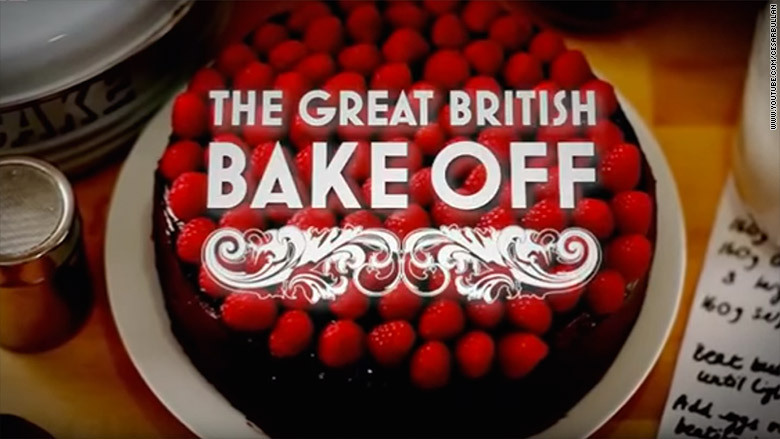 Older seasons of "The Great British Bake Off," renamed "The Great British Baking Show," are broadcast by PBS and available on Netflix for American viewers. In a statement, Richard McKerrow, Love Productions' creative director, added: "We believe we've found the perfect new home for Bake Off"
"It's tremendously exciting to have found a broadcaster who we know will protect and nurture 'The Great British Bake Off' for many years to come," he said.